Fossey, Dian: K-12 TLC Guide. United States Embassy in Rwanda. Rwandan Embassy in Washington D.C.. Political Leaders of Rwanda, The Z�rate's Political Collections. 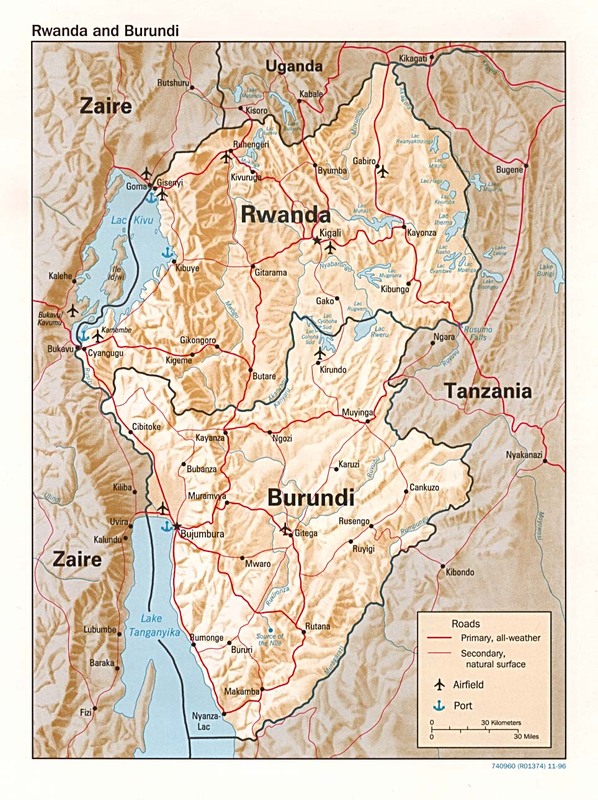 04/06: The Presidents of Rwanda and Burundi Are Killed in a Plane Crash. 04/18: Ethnic Violence Spreads Throughout the Country. 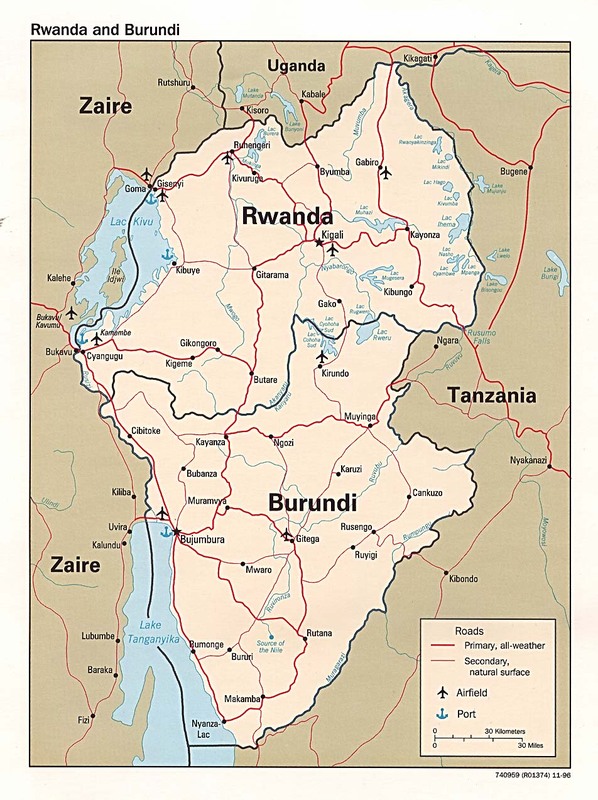 09/02/1998: Rwandan Is UN's First International Genocide Conviction. 12/20/99: UN Peacekeeping Efforts (audio: 8:45). 01/27/00: First Private Citizen Convicted (audio: 3:00). 02/22/00: Jean-Bosco Barayagwiza (audio: 3:00). Carla del Ponte, Chief Prosecutor: 01/28/00 (audio: 4:26). The Triumph of Evil, PBS. Saving Critical Wilderness Areas in Rwanda's Forests.